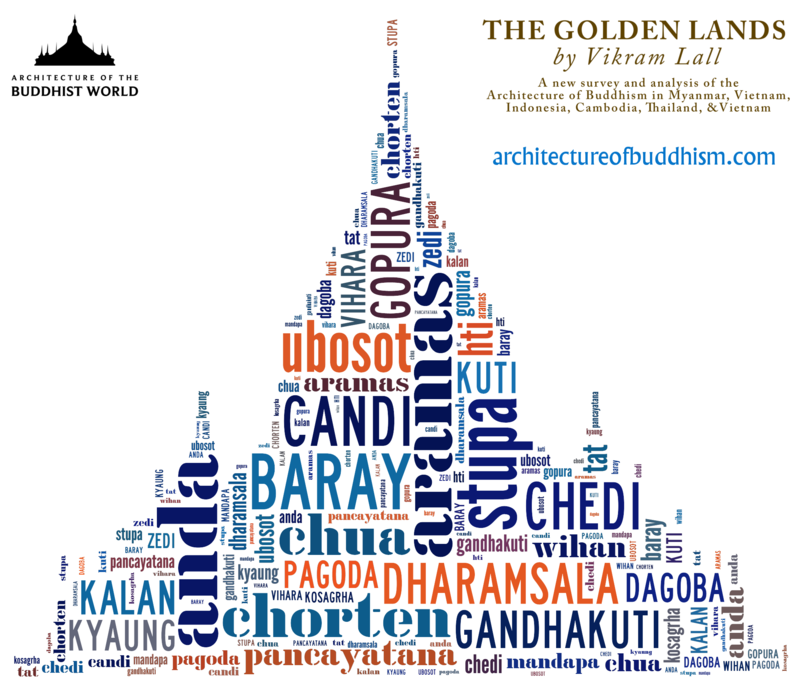 Here’s our short glossary of terms used in the Architecture of Buddhism, particularly focusing on Southeast Asia for now (because SE Asia is the focus of The Golden Lands book which also contains an extensive glossary). Square railings at the top of a stupa, betewen the anda and the chattravali, which originally represented a platform/ enclosure with a fence. Please contact us for suggestions or corrections!